This cup and saucer set is unusual as it is with the original plain black cup from the set. 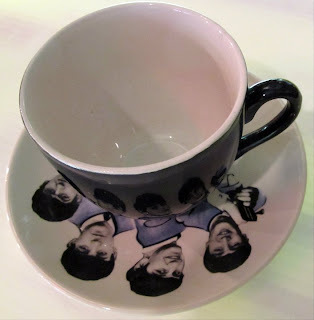 We rarely see the original cup as people think the saucer should be matched with a decorated cup. 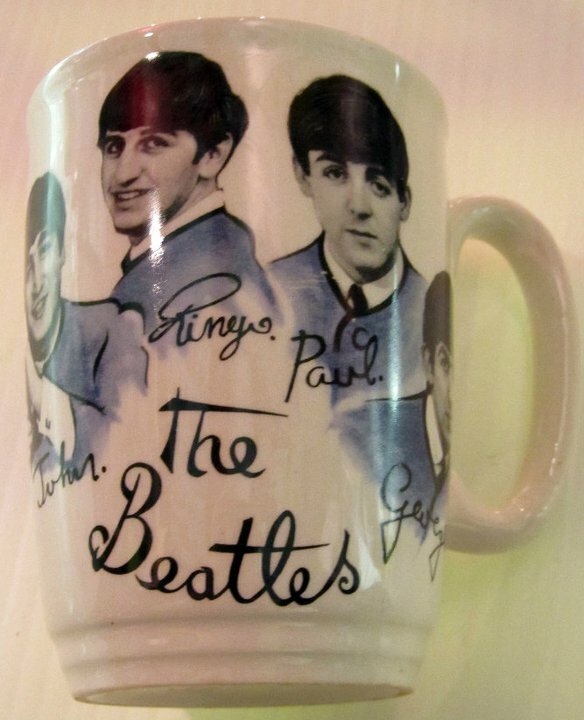 This decorated mug is the same as one previously taken into the auction apart from the fact it has something different stamped on the base. This one has "Broadhurst Bros. Burslem" stamped on it.